Synopsis: Life? It’s simple: be true to yourself. What I thought: Everyone has been raving about how good this book is, but unfortunately it fell short for me. 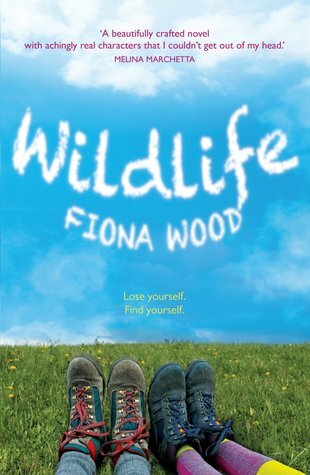 Wildlife is about two different girls with very different problems, spending a school term on an outdoor education camp. Sibylla has to deal with problems like her bitchy best friend, and pressuring hot new boyfriend. Oh and the super smart but oh-so-weird friend, Michael. Seems very dramatic right? Or very pathetic. Lou however, is dealing with the loss of her boyfriend, and the separation from him and her other friends. While this book had a different setting, being in the outdoors of Australia, the problems they faced have been long overdone. I'm not saying I didn't like it, because there were plenty of moments when I did. But at the same time, those moments weren't enough to make Wildlife stand out from all the other contemporaries out there. Although, now I am interested in giving Six Impossible Things a read! The Good: Michael is my favourite character, and together with Lou they give the book something special. They are the reason I didn't give up reading this one. The Bad: Sibylla frustrated me throughout the whole book. I know it's a story about growing and finding yourself, but the whole time I couldn't help thinking "Open your eyes! Find a backbone" and when it finally happened I couldn't even care anymore.